The City of Sydney will give the Salvation Army $250,000 to help build more than 160 new central Sydney homes for lower income workers and people needing crisis accommodation. The Salvation Army wants to build the homes on a site it owns in Surry Hills and has proposed a development more than 25 metres high. Planning rules require buildings exceeding this height to be part of a competitive design excellence process and the City's grant will enable the Salvation Army to ensure the building meets high design standards. The Salvation Army plans to build 118 affordable housing units where rents are capped to allow lower income workers, including nurses, police officers, waiters and cleaners to live close to their city jobs. Affordable housing accommodation is run by not-for-profit housing providers who cap rents to a level typically no more than 30 per cent of their residents' income in rent. As well as affordable housing, the Salvation Army plans to build 48 crisis housing units in the development to provide emergency accommodation for people who suddenly find themselves homeless. Welcoming the Salvation Army's plans, Lord Mayor Clover Moore said they would help alleviate the serious housing shortage in Sydney. "This accommodation is urgently needed for people who find it increasingly difficult to afford to rent in the city," the Lord Mayor said. "We have an ambitious target to make 7.5 per cent of all housing in the City LGA affordable housing, delivered and run by not-for-profit organisations like the Salvation Army. "Every new affordable housing dwelling allows another lower income worker to live near essential city jobs, avoiding long trips from the city's outer areas. "Successful global cities need a diverse mix of residents, affordable housing is essential to make sure Sydney doesn't become an enclave only affordable for the well off. 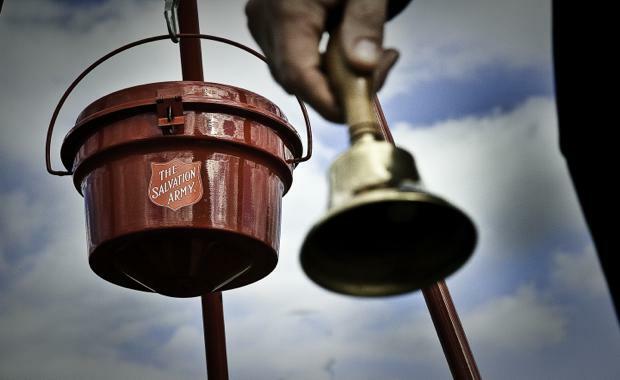 "The leader of The Salvation Army (Eastern Territory), Commissioner James Condon, welcomed the City's support of their plans. "I am delighted that the City of Sydney had agreed to provide the financial support needed to ensure the project proceeds," Commissioner Condon said. "This development is an important step in changing the institutional way we have traditionally addressed homelessness in the inner city," he said. The Salvation Army is planning a $55 million project on the corner of Mary and Campbell Streets in Surry Hills and has asked the City to help fund the design costs for the building. There are currently around 750 affordable rental housing dwellings in the City of Sydney local area, including 102 affordable units in Green Square, with another 104 under construction and 445 units in Ultimo/Pyrmont. Under the agreement approved by the City, the funds will be paid to the Salvation Army once their competitive design excellence process has been completed. The agreement requires the Salvation Army to complete construction of the new accommodation by the end of 2020.